First tip, don’t be fooled by green-washing. You might think you’re buying an item that is ‘biodegrable’ or ‘eco’ or ‘green’ but you’re just buying into what producers want you to think. Wedding magic can be fun, flirty, glittery and stylish without harming the environment. 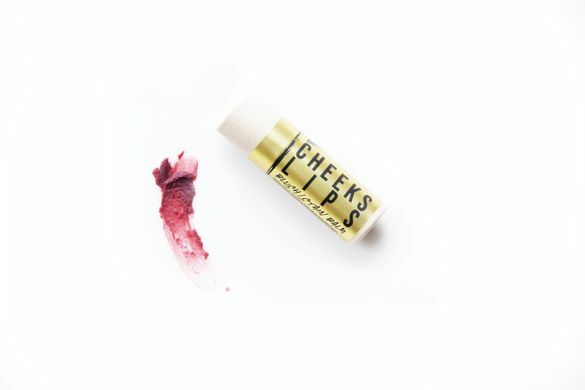 Head to Urban Apothecary for THE BEST lip and cheek tint. 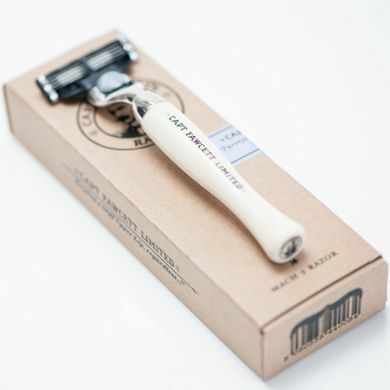 It comes in a 3oz eco-friendly, compostable, push up cardboard tube. Perfect for touch ups when you head to the loos with your best girls to float on the day you’ve all shared! Acala Online sell responsibly packaged, organic, plant-based health and beauty products. That’s a win win for me. The beauty industry uses masses of plastic and tests on animals, needless in 2019 don’t you think? If you really want to max the item that has a million uses, then go for organic coconut oil that you can buy in the supermarket! I favour spooning some into a bowl and mixing with organic (glass bottle) vanilla essence for the ultimate luxurious lip & body balm. If you’re super keen, then source a mini jam jar (the sort you get with a posh cream tea) est voila, a lip balm to pop into your bridal handbag! 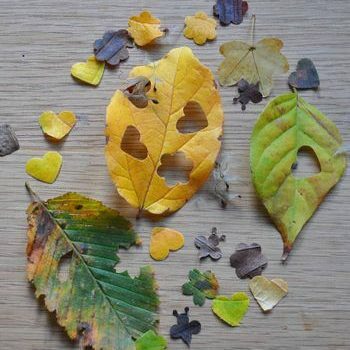 The best ever idea I stumbled across was to collect leaves and use a small hand held puncher (yes these are made of plastic) to cut your leaf into confetti shapes, choose from hearts or stars. This way you are making completely biodegradable and natural confetti that won’t harm wildlife. Punchers are available from all craft shops. 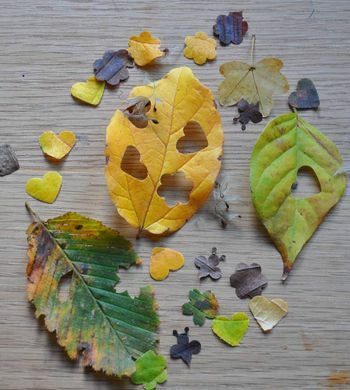 Below photo of cut out leaves from Wildflower Favours. It might seem a weird thing to ask a venue, but checking what they do with food waste is a great way to go waste-free. Businesses should be reducing food waste and promoting that they are as it can be a great financial opportunity to reduce costs, increase revenues, and engage staff and customers. Some councils offer a food waste recycling collection scheme but they may have to pay for it. Glass is infinitely recyclable so no worries on how many bottles of fizz or plonk you open! But what about the corks that fly? Do they have to end up in the bin? Instead of giving away wedding favours on the day, why not collect all the corks and make fridge magnets to send as thank yous? 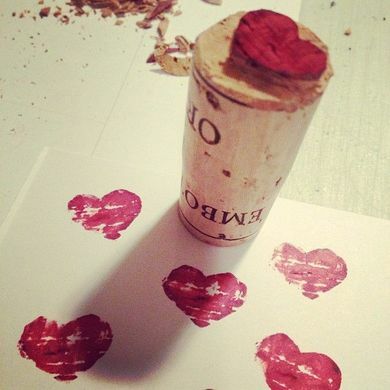 It’s a lovely way of making a true and useful keepsake for everyone.